A lot happened during the Orioles-Red Sox game Tuesday night. This matchup drew more attention than the average early-May game due to the actions of Red Sox fans during Monday night's game. On that night, fans directed racial slurs—the N-word was used several times—and hurled a bag of peanuts at Orioles CF Adam Jones. Heading into the game, momentum to publicly apologize to Jones grew among Red Sox fans and players. Mookie Betts took to Twitter to encourage fans to give Jones a standing ovation his first time up. And that's exactly what happened. That's a cool moment, right? Obviously much work still needs to be done in battling racism in Boston—and the U.S.—but I thought it was a positive step forward, if for no other reason than Betts asked Sox fans to do it. All of that was lost, however, when Chris Sale decided to be an idiot just three pitches later. For those that missed it, the hate from the Red Sox for Manny Machado stems from a controversial slide into Dustin Pedroia last Friday. On Sunday, reliever Matt Barnes threw at Machado, striking the bat just inches away from his head. Barnes was suspended four games, and the whole thing seemed be be over. But, Sale just couldn't let it go. 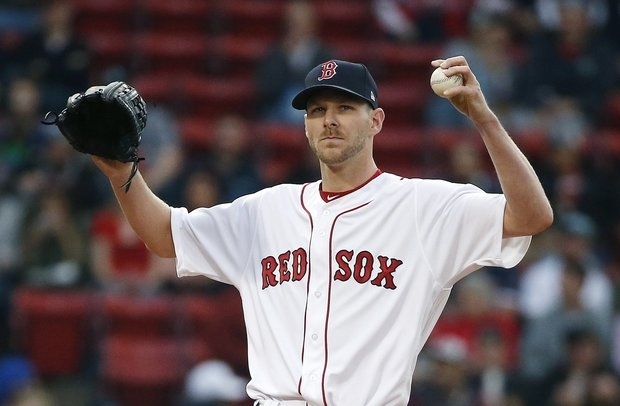 Sale is an amazing pitcher and has been fantastic with the Red Sox: 45.2 IP, 63 SO, 0.75 WHIP, 1.38 ERA. Additionally, there are plenty of stories out there about him being a good guy. However, he seems to be enslaved to "old school" baseball. He clearly thought Pedroia was disrespected by Friday's slide and the ONLY way to get revenge was to throw a baseball within the vicinity of Machado's body. A good life lesson, really. My thoughts? This garbage needs to end. There is something in all of us that wants to get even when someone hurts or disrespects us or someone close to us. A coworker gossiping about you, another driver cutting you off, or an elbow to the jaw in a pickup basketball game. It's just a natural part of life. Our response to those moments is generally bitterness and passive-aggressiveness, which isn't healthy either. But, it's far better than trying to hit someone with an object that could easily kill them. For some reason, we have made it okay for baseball players to act this way. For those of you that think the threat of significant injury or death is an exaggeration, take a look at how quick a ball comes at you in the big leagues. As fans, we have the power to demand that the players and teams we root for stop doing this. It's only a matter of time before someone gets significantly hurt—or dies—from a stupid beanball. Familiarize yourself with Tony Conigliaro if you think it's impossible. Unfortunatley, the Red Sox went on to win the game, 5-2. But, not before embarrassing themselves again with a dropped fly ball triple play.